Correcting a Century-old Error - Skillman Family Association Inc. 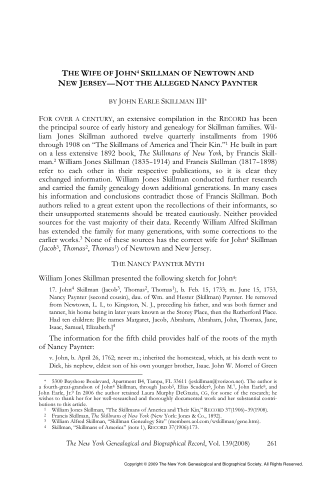 Sometime in the late 1960s, when John E. Skillman III first read “The Skillmans of America and Their Kin” by William Jones Skillman, he was immediately suspicious of the claim that his 4th great grandfather, John4 Skillman, married Nancy Paynter. 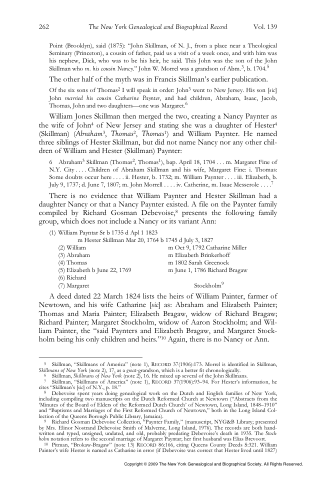 This alleged Nancy Paynter was supposedly the daughter of William Paynter and Hester4 Skillman, who actually were married and had children. But the dates of marriage and the presumed age of this Nancy Paynter just didn’t make sense. 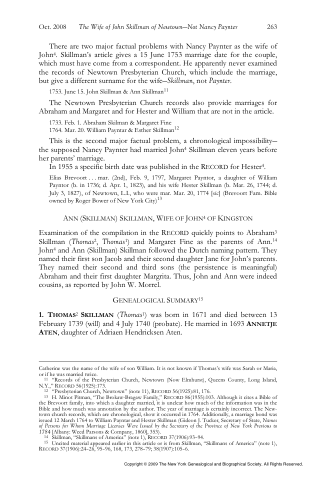 This inconsistency haunted John for nearly 40 years until he retired and had the time to research the true wife of John4 Skillman. In 2007, John made a trip to the New York Genealogical and Biographical Library in New York City (now a part of the New York Public Library) and spent three days doing research there. Sometime later, he made a trip to New Jersey and spent four days searching for the gravestones of John4 Skillman and his wife. He never found their gravestones, but discovered those of many other Skillmans during the hunt. In the end, the name of the true wife of John4 Skillman wasn’t really that elusive. 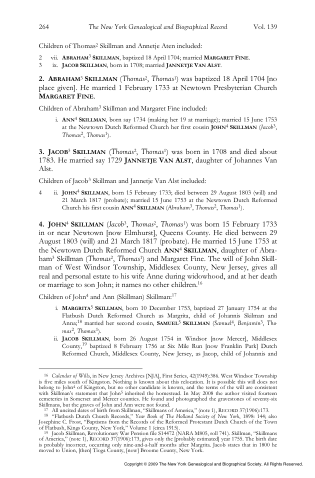 To discover her identity, read the article below that John published in The New York Genealogical and Biographical Record in October 2008. 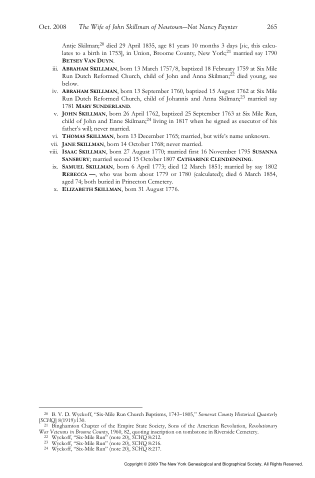 Click on each thumbnail image to see the full-size document.